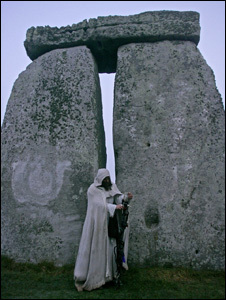 ♔More than 1 million people visit Stonehenge each year. It is one of Britain’s most important ancient monuments, having been designated a UNESCO World Heritage site in 1986. The Neolithic monument is widely believed to be a prehistoric temple built to mark the movements of the sun. Each year thousands of people descend on the ancient religious site to watch the sun rise for the summer solstice, marking the longest day of the year and the first day of summer. As archaeologists and researchers continue to study the area, their recent finds paint a picture of a far more mysterious and elaborate Neolithic and Bronze Age world than previously thought.